It’s been just six weeks since President Donald J. Trump took office and our country is already moving in the right direction. 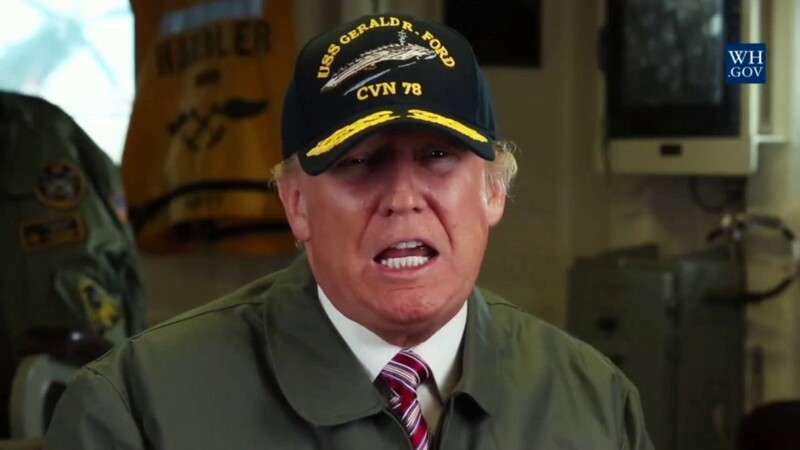 Yesterday, the President visited our Nation's newest aircraft carrier, the soon-to-be commissioned U.S.S. Gerald R. Ford. Our carriers are the centerpiece of American military might, projecting power and our unparalleled strength at sea. This beautiful new warship represents the future of naval aviation, and she will serve as a cornerstone of our national defense for decades to come. A famous aviator once wrote that to build a truly great ship, we shouldn't begin by gathering wood, cutting boards, or distributing work, but instead by awakening within the people a “desire for the vast and endless sea.” In the same way, we must continue to renew the American spirit in order to rebuild our country. On Tuesday, before a Joint Session of Congress, President Trump laid out a vision for how to accomplish that national rebuilding. His vision includes the elimination of the defense sequester, which has imposed steep cuts to our military. Investing in the military means investing in peace—because the best way to prevent war, as George Washington said, is to be prepared for it. Most importantly, an investment in the military is an investment in the incredible men and women who serve our country in uniform. They are the best of us. They are the greatest force for peace and justice the world has ever known—and we will support them every single step of the way. These are truly exciting times. Amazing opportunities are unfolding before us—to strengthen our military, to reboot our economy, and to bring back our jobs. If we all work together, and put our country first, then anything is possible. Let us seize this moment and make the most of this incredible opportunity for national renewal.